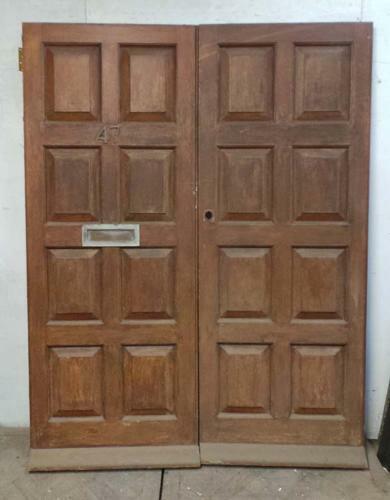 This lovely pair of Edwardian style solid mahogany doors are fully mortised and tenoned. Each door has six panels which are raised and fielded to the front and fitted with decorative mouldings to both faces. The doors are fully rebated and fitted with a weather bar to the front face. Please note: Individual doors are 29.85 inches (759mm) width each. These measurements are taken without the rebate. All other measurements are taken as a pair. The doors are in good condition, but are painted to the panels on the rear face.